BERLIN -- BMW and Varta have both applied for state funding aimed at cutting Germany's reliance on Asian battery suppliers and protect jobs at home that may be at risk from a global shift to electric cars. Germany has earmarked 1 billion euros ($1.13 billion) to support a consortium looking to produce EV battery cells and plans to fund a research facility to develop next-generation solid-state batteries. 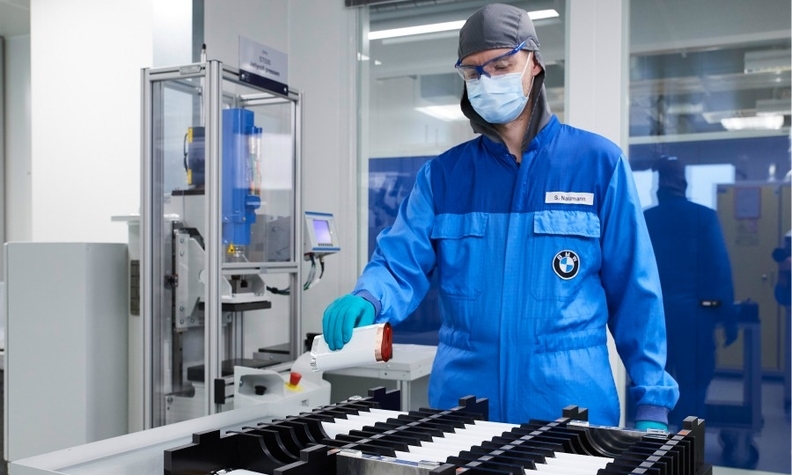 BMW is seeking funds for research and development in the field of battery cells this does not mean the company aims to produce them itself, a compay spokesman said. The funding application would not necessarily lead to the automaker participating in a consortium, the spokesman said. German battery producer Varta said it was planning to increase production of battery cells to over 60 million cells per year. The company said it was cooperating with European partners to advance European battery cell production. Skeptics have noted that Germany's efforts might be too little too late as the production of EV battery cells is dominated by companies from China, South Korea and Japan. Overall, six consortia applied for state subsidies at Germany's Economy Ministry, two people familiar with the matter said. One of the people said that German battery maker BMZ Group had formed a consortium with Deutsche Post's StreetScooter, German start-up e.Go Mobile and Ford's German subsidiary Ford-Werke. A spokesman for Deutsche Post would only comment that a secure supply of battery cells for its StreetScooter was important. Unions and politicians are worried about future jobs because production of electric cars is less labor-intensive than building cars with internal combustion engines.